Quil Lawrence Quil Lawrence is a New York-based correspondent for NPR News, covering veterans' issues nationwide. March 31, 2016  Unemployment for recent veterans has hit a historic low, but it's not clear how many veterans are able to use their military experience to get meaningful employment. March 23, 2016  After scandals around veterans waiting too long for care in 2014, Congress pushed through a $10 billion fix to get those vets care, fast. Now it's almost unanimous: The fix is broken. January 13, 2016  Military service does not guarantee U.S. citizenship, which has meant a group of veterans has wound up together just over the border in Tijuana, Mexico, at a refuge they've dubbed "The Bunker." December 18, 2015  New Year's day 2016 is the deadline for two ambitious goals set at the Department of Veterans Affairs — ending the backlog of disability claims and reaching zero homeless veterans. Neither goal has been met, but veterans' advocates hope momentum on progress isn't lost. 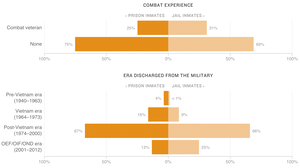 December 7, 2015  The study from the Bureau of Justice Statistics is the first government report that includes significant numbers of veterans of the wars in Iraq and Afghanistan. November 11, 2015  There's a huge gap between what vets consider real support and self-interested promotions. Advocates welcome businesses goodwill but are leery about the way some use Veterans Day to self promote. November 6, 2015  A Vietnam veteran tells NPR he was recently informed by the Department of Veterans Affairs that it believed he was dead. The VA's records for tens of thousands of other people remain flawed; agency officials say they don't know in many cases whether people are dead or alive. September 23, 2015  NPR follows up on the status of "AK," one of many Afghan and Iraqi interpreters for the U.S. military still waiting for a visa, and why thousands of interpreters struggle with the process. September 23, 2015  Some 13,000 Afghans and Iraqis who worked with the U.S. are awaiting visas they were promised. 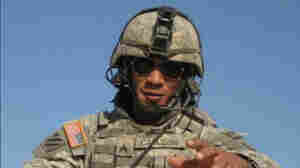 NPR's Quil Lawrence looks at a case involving an Afghan interpreter who was in the thick of the fighting. September 17, 2015  According to the U.S. Office of Special Counsel, the Department of Veterans Affairs rarely fires anyone for misconduct — except for the employees who blow the whistle on it. September 17, 2015  For the first time, the triathlon will be an event at the Paralympics. Stockwell, an Iraq veteran, has won international paratraithlons before, but she's still got to qualify for the U.S. team. August 31, 2015  The Department of Veterans Affairs is suffering a shortfall of physicians, especially in mental health. A steady flow of scandals and attempts at strict reform by Congress may be hurting recruitment.